Mosquitto 1.4.15 has been released to address two security vulnerabilities. A vulnerability exists in all Mosquitto versions up to and including 1.4.14 known as CVE-2017-7651. Unauthenticated clients can send a crafted CONNECT packet which causes large amounts of memory use in the broker. If multiple clients do this, an out of memory situation can occur and the system may become unresponsive or the broker will be killed by the operating system. The fix addresses the problem by limiting the permissible size for CONNECT packet, and by adding a memory_limit configuration option that allows the broker to self limit the amount of memory it uses. Thanks to Felipe Balabanian for finding this vulnerability and responsibly reporting it. A vulnerability exists in Mosquitto versions 1.0 to 1.4.14 inclusive known as CVE-2017-7652. If the broker has exhausted all of its free sockets/file descriptors and then a SIGHUP signal is received to trigger reloading of the configuration, then the reloading will fail. This results in many of the configuration options, including security options, being set to their default value. This means that authorisation and access control may no longer be in place. The fix addresses the problem by only copying the new configuration options to the in use configuration after a successful reload has taken place. Fix CVE-2017-7652. If a SIGHUP is sent to the broker when there are no more file descriptors, then opening the configuration file will fail and security settings will be set back to their default values. Fix CVE-2017-7651. Unauthenticated clients can cause excessive memory use by setting "remaining length" to be a large value. This is now mitigated by limiting the size of remaining length to valid values. A memory_limit configuration option has also been added to allow the overall memory used by the broker to be limited. This is a bugfix and security release. Fix CVE-2017-9868. The persistence file was readable by all local users, potentially allowing sensitive information to be leaked. This can also be fixed administratively, by restricting access to the directory in which the persistence file is stored. Fix for poor websockets performance. Fix lazy bridges not timing out for idle_timeout. Closes #417. Fix problems with large retained messages over websockets. Closes #427. Set persistence file to only be readable by owner, except on Windows. Closes #468. Fix CONNECT check for reserved=0, as per MQTT v3.1.1 check MQTT-3.1.2-3. When the broker stop, wills for any connected clients are now "sent". Closes #477. Auth plugins can be configured to disable the check for +# in usernames/client ids with the auth_plugin_deny_special_chars option. Partially closes #462. Restrictions for CVE-2017-7650 have been relaxed - '/' is allowed in usernames/client ids. Remainder of fix for #462. Don't use / in auto-generated client ids. A vulnerability exists in Mosquitto versions 0.15 to 1.4.12 inclusive known as CVE-2017-9868. If persistence is enabled, then the persistence file is created world readable, which has the potential to make sensitive information available to any local user. This will be fixed in version 1.4.13, due to be released shortly. A short paper has been published on Mosquitto in The Journal of Open Source Software If you use Mosquitto in your academic work, please now use this paper as your citation. A [bibtex] entry is available. A vulnerability exists in Mosquitto versions 0.15 to 1.4.11 inclusive known as CVE-2017-7650. Pattern based ACLs can be bypassed by clients that set their username/client id to '#' or '+'. This allows locally or remotely connected clients to access MQTT topics that they do have the rights to. The same issue may be present in third party authentication/access control plugins for Mosquitto. The fix addresses the problem by restricting access for clients with a '#', '+', or '/' in their username or client id. '/' has been included in the list of characters disallowed because it also has a special meaning in a topic and may represent an additional risk. The restriction placed on clients is that they may not receive or send messages that are subject to a pattern based ACL check, nor any message that is subject to a plugin check. Thanks to Artem Zinenko from HackerDom CTF team for finding this vulnerability and responsibly reporting it. Fix mosquitto.db from becoming corrupted due to client messages being persisted with no stored message. Closes #424. Fix bridge not restarting properly. Closes #428. Fix unitialized memory in gets_quiet on Windows. Closes #426. Fix building with WITH_ADNS=no for systems that don't use glibc. Closes #415. Fix deprecation warning for OpenSSL 1.1. PR #416. Don't segfault on duplicate bridge names. Closes #446. 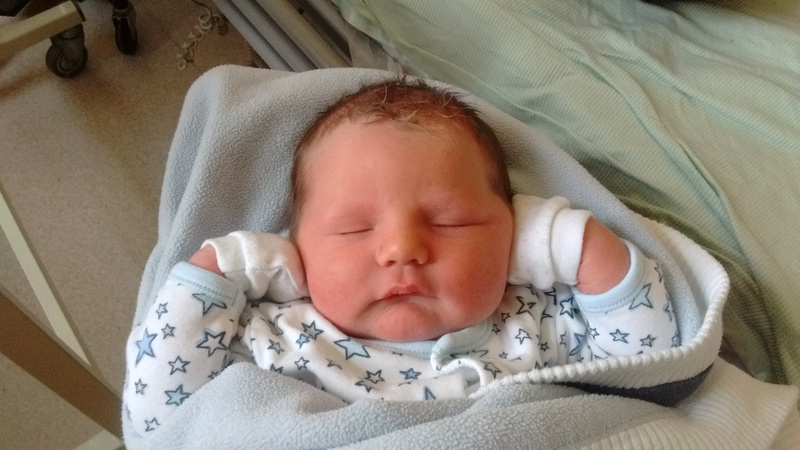 This guy arrived on Tuesday, two weeks early and weighing 9lb 6oz / 4.26kg. Apologies if I'm a bit out of touch for a while. Fix crash when "lazy" type bridge attempts to reconnect. Closes #259.
maximum_connections now applies to websockets listeners. Closes #271. Allow bridges to use TLS with IPv6. Don't error on zero length persistence files. Closes #316. For http only websockets clients, close files served over http in all cases when the client disconnects. Closes #354. Fix error message when websockets http_dir directory does not exist. Improve password utility error message. Closes #379. Bridges can use asynchronous DNS lookups on systems with glibc. This can be enabled at compile time using WITH_ADNS=yes. Use of --ciphers no longer requires you to also pass --tls-version. Closes #380. Clients can now use TLS with IPv6. Fix potential socket leakage when reconnecting. Closes #304. Fix potential negative timeout being passed to pselect. Closes #329.